Well Fed Paleo Cookbook review and giveaway! If you’ve followed this site for a while, then you know that I love Austin. I’ve been lucky enough to travel lots, and lived in some great cities, but Austin is definitely my home! From the eclectic vibe to the local support offered to entrepreneurs, the community aspect, amazing food, great shopping and all the incredible outdoor activities, Austin has all we could ever want. And it’s a pretty darn cool city to raise kids too. And so it was fate that about 6 months ago I was browsing the bookshelf in one of my favorite shops, People’s Pharmacy, and found a Paleo cookbook called Well Fed. It was visually appealing to me, and when I flipped through the pages I knew instantly I had to buy a copy. I then learned (cue the fate) that the author was based here in Austin, and also a member of a local food bloggers group I’m a member of, the Austin Food Bloggers Alliance . So I grabbed a copy, and headed home to figure out which new recipe I was going to tackle that week. Little did I know I would find myself cooking my way through her Paleo cookbook, devoted to her recipes like Julia from that Julia Childs movie. For a brief moment I thought maybe I could pen a screenplay about making my way through Well Fed, but then it passed as quickly as it came when I remembered I already have a million and one things going on. So when I connected with Melissa to congratulate her on an incredible book, and offer to write a review, she graciously offered a copy of her book up to one lucky reader! Whether you’re new to Paleo cooking, or an old novice, this book will become an instant favorite. Melissa has done a fantastic job of laying out a visually appealing and easy to follow guide to each recipe, and offers alternate ideas and complementary sides or entrees with each dish. Some of our favorites include Moroccan Meatballs, Cumin Roasted Carrots, Bora Bora Fireballs, Char Siu (Chinese BBQ Pork) and Cauliflower Rice Pilaf. The key to working your way through this book is using her guide to making some of the spice mixtures ahead of time, and she shares some of her favorites including Moroccan spices, a homemade Basil and Walnut Pesto and Sunshine Sauce which she uses with her Pad Thai. Melissa suggests that you prepare meals ahead of time, using Sunday as her Paleo prep day, and I have to agree that’s the best approach to make sure you don’t find yourself tired and uninspired mid-week and grabbing something un-Paleo, throwing your mojo off track. Above are some of the delicious recipes you’ll learn to make from Well Fed, and below is the form to use to register for a free copy of her book! If you can’t wait, head on over to her site here and learn where you can pick up your own copy. Be sure to tell her you heard about her from us! Thanks so much for the sweet review — really glad you found me and Well Fed. YAY! The comments won't work for me 🙁 I am so glad I found your site, I saw a post from Savory Spice Shop about this post. Glad you found us! I’ll double check the comments function – thanks for letting me know! I like the all-natural, getting back to basics aspect. Thanks! Wow, I love Paleo dishes, so getting Well Fed would be awesome! I love how no matter what with Paleo, eating healthy is actively encouraged and maintained while also eating good foods. I’m usually not good about sticking to diets, but I really hit my stride when I learned of the Paleo diet from In The Kitchen. Win or lose, I can’t wait to get this and try out the Chinese BBQ Pork! Having disordered eating for the last five years, I feel like Paleo has given me a fresh start knowing that everything I am eating is beneficial. I love the idea of getting organized and planning ahead for success. I love eating paleo real food. I'm never unnecessarily hungry when I eat Paleo, and I'm always properly nourished. luv that it's gluten-free–and beyond! Here’s a giveaway for a Paleo cookbook! I've been gf for 4 years and am slowly transitioning to paleo, love it so far! I’m a huge fan of Melissa from The Clothes Make the Girl and I would LOVE to win her cookbook! I'm just learning about this way of eating. I would absolutely love, enjoy, and use this cookbook frequently! I love the simplicity of Paleo. It’s easy to follow and has great rewards. Paleo has helped me so much with my autoimmune disease! Been doing it for 2 months and feel better than I thought I could! Wonderful advice and recipes teaching me a different way to cook. My family and I are new to paleo and am loving it! I never thought I would be able to get my husband to try new things and eat veggies! It's great knowing that I am doing everything I can to make sure that my family is healthy and being educated about real food! We just started Paleo. What I like about it is it just makes sense, simple and real. Can't wait to deal with my autoimmune issues this natural way. Trying to go grain free! I am only learning about the Paleo way of living too; sites like this are really inspiring and motivating. Thankyou! Sugar no longer has a hold on my life. Love seeing the pounds melt away and the extra energy i feel throughout the day!! I love that my boys identify our family with eating real unadulterated food all the time. I FEEL good when I eat Paleo. I am new to even knowing what Paleo is, but started slowly leaning to the paleo way of eating about a year ago. Had a friend recently say, oh, are you paleo? I didn't know what that meant! I’m new to Paleo, although I’ve been G/F for 4 years and L/F for 25 years. It just made sense that low fat wasn’t the fix to my health issues. In a lot of ways it’s easier, but I sure could use some new recipe inspiration! 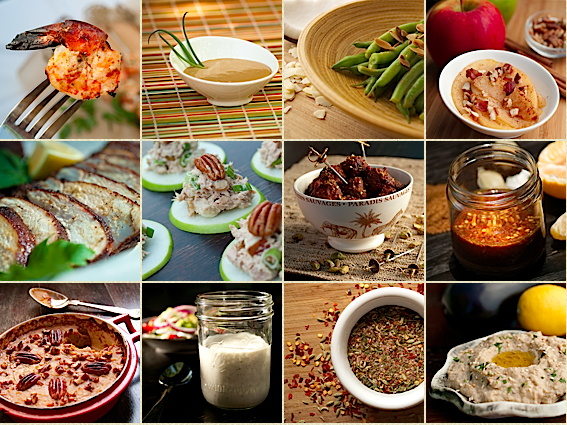 Getting rid of all processed foods is what I love about Paleo! Looking forward to trying paleo, a recipe book would be a great start. My family and I are new to this and need all the help we can get! But after suffering from Candida and various other health issues we have never felt better eating this way. So glad we are showing our little kids how to enjoy good food! 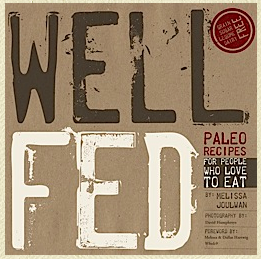 1 Pings/Trackbacks for "Well Fed Paleo Cookbook review and giveaway!"